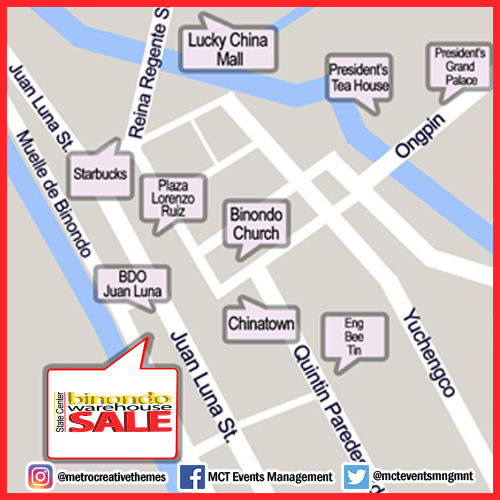 MCT Events Management will stage the much-awaited 12th BINONDO WAREHOUSE SALE on December 12 to 18, 2016 at the ground floor of State Center Investment Building, along Juan Luna St. and across the St. Lorenzo Ruiz Church. The Binondo Warehouse Sale attracts thousands of shoppers in one of the most viable markets in Metro Manila. The 12th BINONDO WAREHOUSE SALE is a seven-day event that showcases different brands with big discounts just in time for the holiday season. Shoppers will enjoy holiday price cuts by up to 70% discount, on shoes, bags, men’s and ladies’ fashion, sporting goods and accessories, personal care, and many more. 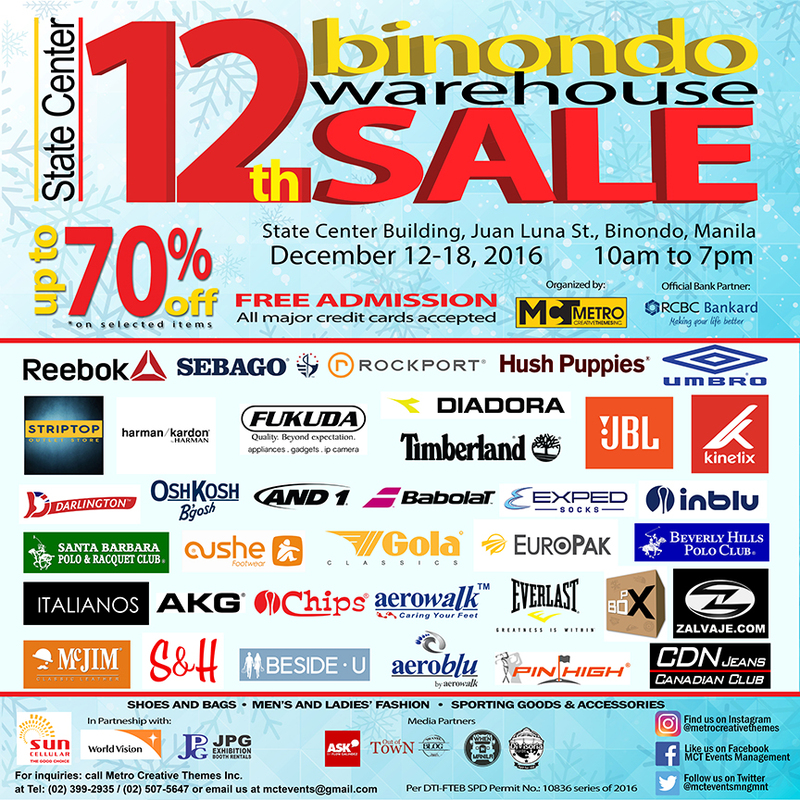 Participating brands like Adidas, Hush Puppies, Sebago, Jockey, Mr. Lee Jeans and RRJ will surely delight the shoppers with their offerings and promos.